ASI is the world's leading professional membership organisation and international governing body for instructors, coaches and schools in the outdoor recreation industry for surfing, stand up paddle and bodyboarding. ASI creates and sets the international standards and continuously investigates and researches industry practices and liaises with industry itself and government departments around the world, to ensure we are at the leading edge for the provision of education, accreditation, standards and safe practices, and with respect and harmony with nature. ASI members are instructors, coaches and schools/activity centres. ASI provides professional training courses and accreditation for its instructors and coaches, and issues ASI accredited status to schools that meet the ASI worldwide quality standards. Keep up to date with ASI and industry developments with news and articles on the ASI NEWS page. It’s the best job in the World. Travel the world. ASI offers a range of instructor career pathways for entry level Instructors to Master Coach. With offices in Australia, UK, USA, Portugal, Bali & Philippines, ASI accreditation sets the international standard. It is the mark of high professional competence recognised and sought after by employers and the general public. ASI created the School Accreditation Scheme and Regulations to provide assurances to the general public about the safety of the school. Students can enjoy the activities and not be exposed to risks of injury or death and be assured activities will be safe and appropriate to students level of ability and skill. An ASI Accredited School has been audited by ASI and demonstrated compliance with the ASI worldwide standards of good practice for safety, training, operations and a professional experience for students. Use the ASI "Find Schools" locator at the top of the page to find an ASI School near you. ASI created Sports Wise modular learning programs for ASI sports. Specially designed to make learning easier. ASI learning guides, manuals, student workbooks and DVDs are provided with excellent information and allowing you to track your progress. Delivered exclusively by ASI accredited schools.. 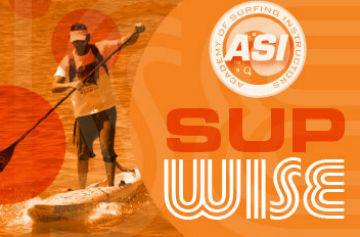 Learn to surf with ASI Surf Wise, with 10 surfing skill levels. 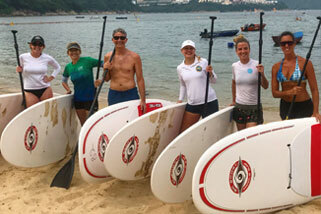 Learn to stand up paddle with ASI SUP Wise, with programs for different SUP water environments. Learn to bodyboard with ASI Bodyboard Wise, with 4 bodyboarding skills levels.